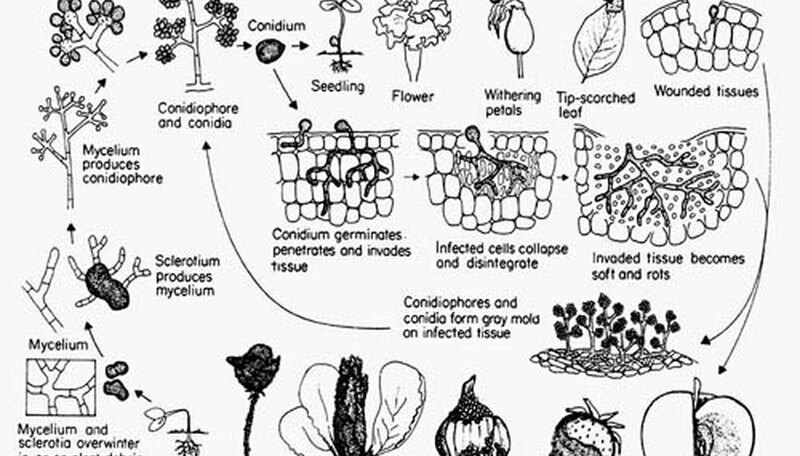 Botrytis cinerea is the name of a fungus that attacks plants, including fruit and vegetable crops, and can include gray rot, blossom-end rot, bunch rot and noble rot. In most cases, botrytis is a destructive fungus feared by horticulturists and those who make their living from agricultural products, as an attack can wipe out an entire crop. Botrytis cinerea begins its life as a spore, a small single-celled particle, and only becomes active in warmer temperatures. So during the cool autumn and cold winter months botrytis spores lie dormant in the fields or on immature crops. Botrytis spores form best in damp or humid weather at about 60 degrees Fahrenheit---usually as spring arrives and the weather warms. 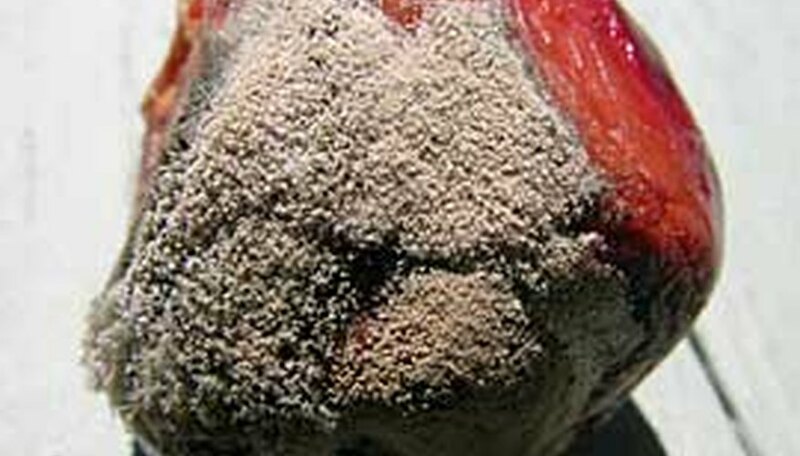 The reproducing spores form mycelia, extended web-like threads of fungus that spread out over the ripening fruit and vegetables. Botrytis prefers densely packed fruit such as grapes because the close spaces between the fruit hold warmth and water. The spores in the mycelia spread over the crops and poke holes in them to eat the sugar and acid. As they spread and feed, the crops become gray and pulpy. This is known as gray rot, blossom-end rot and bunch rot. As the mycelia spreads, animals, humans and nature's elements carry the spores away to other healthy crops, where the spores feed on the new fruit and again reproduce into mycelia and re-create the process. Once the spores create holes in the crops the sun evaporates the water in them, causing them to become dehydrated and shriveled. As the warm, damp weather continues, the spores move from crop to crop to feed. When the weather cools again the spores go dormant. 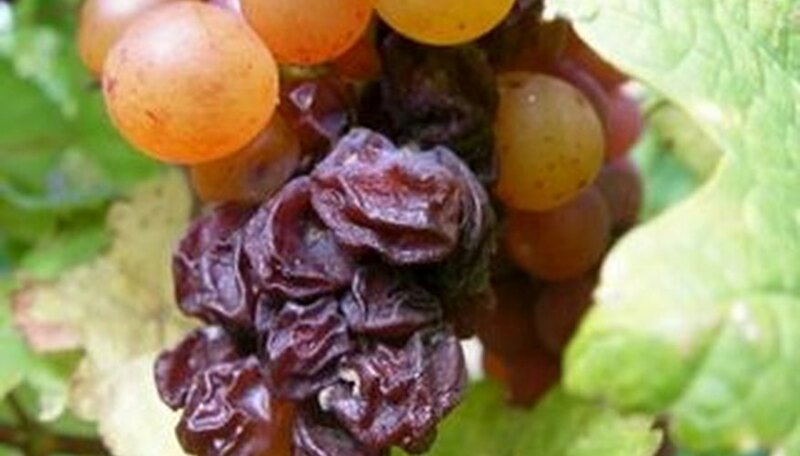 In most cases, botrytis is devastating for the crop's producers. But makers of some sweet table wines and dessert wines welcome this process because it concentrates the sugar left in the grapes, resulting in a sweeter, more full-bodied wine. For this reason, some winemakers call botrytis the noble rot and welcome its arrival during their growing season.